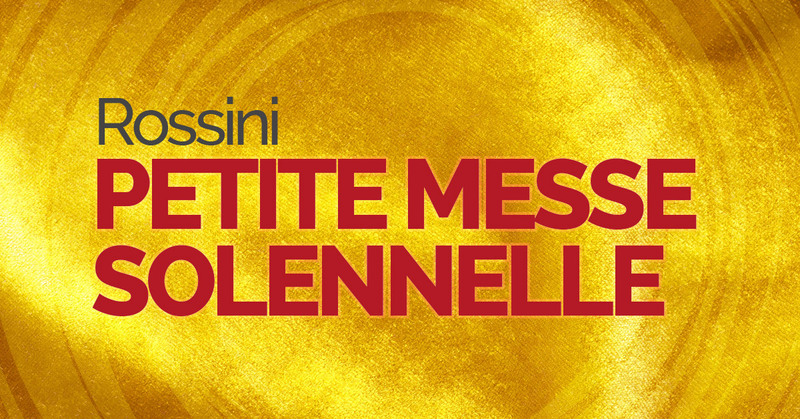 Rossini’s Petite Messe Solennelle, the best known of his ‘sins of old age’, is characteristically lyrical with beautifully crafted solo arias. Originally conceived for twelve voices, and scored for piano and harmonium, the Mass is neither small nor solemn. Join Sonoro at 7:30pm for a vivacious performance of this glorious work. Spend a day under the direction of our inspirational conductor, Neil Ferris, and professional singers from Sonoro to sing Rossini’s Petite Messe Solennelle. Our workshops have been designed to both challenge and inspire confidence, and participants will receive expert advice on vocal techniques, including warming up, breathing, intonation and interpretation. Workshop tickets include a limited edition Sonoro tote bag, pencil, score hire, water and break-time refreshments. The day will be accompanied by piano. Some sight-singing ability is required. If you would also like to attend Sonoro’s performance at 7:30pm, please select the ‘Workshop/Concert Combi Ticket’ when booking for a discounted premium Nave seat at the evening concert.